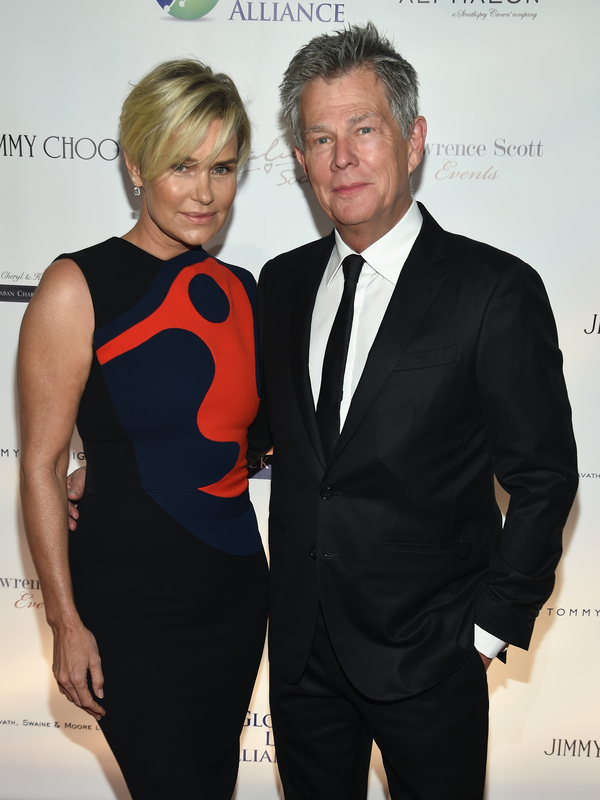 In December, it was shockingly announced that Real Housewives of Beverly Hills couple David and Yolanda Foster were divorcing. Ever since then, there have been many rumors circulating about what exactly led to their split, including that Yolanda's battle with Lyme disease played a huge part. Whatever the case, the two have remained supportive of one another, including David defending the fact that Yolanda does have Lyme disease in a new statement released to People. For those unaware, during the latest season of RHOBH, some of the cast members have been discussing Yolanda's illness. Also, at times some of the Housewives have even questioned the lengths Yolanda is going to improve her health. Even though most are showing her support, it appears that they just don't fully understand what she's going through. Well, David is speaking up, defending himself, and assuring anyone who has doubts about Yolanda's chronic illness that they don't need to be skeptical. Over the past few weeks, a great deal of inaccurate or baseless information has been reported claiming to represent my thoughts and feelings. It is painful to watch this happen repeatedly — especially while trying to cope with the personal nature of the challenges surrounding the breakup of our loving marriage. I have always had and continue to have the utmost respect and love for Yolanda, which is why it is so frustrating to see headlines questioning her chronic debilitating illness. This is the first time David has personally commented on his divorce. It just goes to show you that despite their split, the two continue to remain close, respect one another, and will forever support each other through the good and the bad times. "I have been by Yolanda's side over the past four years to the best of my ability as she battled with the complexities of her Lyme diagnosis," David added. "I am incredibly proud of Yolanda's determination and mission to find a cure, and how brave and open she has been by sharing her story in the hopes of changing the future for others." Believe what you want, but there's no doubt Yolanda and David have one mature and loving relationship. It's great to see David's compassion, especially during what is a difficult time for both of them.